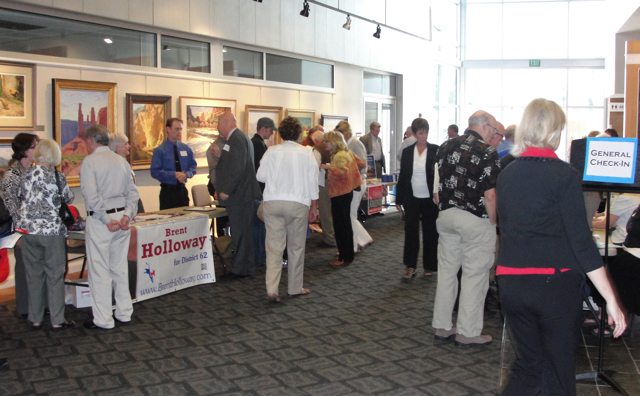 ST. GEORGE – The Washington County Democratic Convention was held Saturday, March 24 in the Delores Doré Eccles Fine Arts Center on the Dixie State College campus. 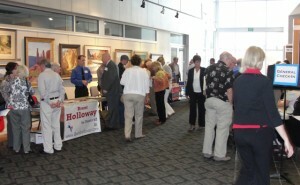 Approximately 175 people were in attendance to hear the various candidates speak and to vote in the various elections. The convention took off with a bang as Dorothy Engelman, Washington County Democratic Party Chair, said, “I’m Dorothy Engelman” and was interrupted by a standing ovation. Even before the convention there were mentions of the many things she has done to promote the party here in Washington County. Both in the booths before the convention started and in the speeches during the convention, there were two topics that came out more than everything else. There was a lot of talk about the state of Utah being out of balance and being run by extremists. There was also a lot of talk and conversation about how many strong members of The Church of Jesus Christ of Latter-day Saints are also strong Democrats and that there is nothing wrong with being both. After introductions, the first speaker was Lisa Johnson, member of the State Democratic Party Executive Committee and the Executive Committee for the LDS Democrats Caucus. 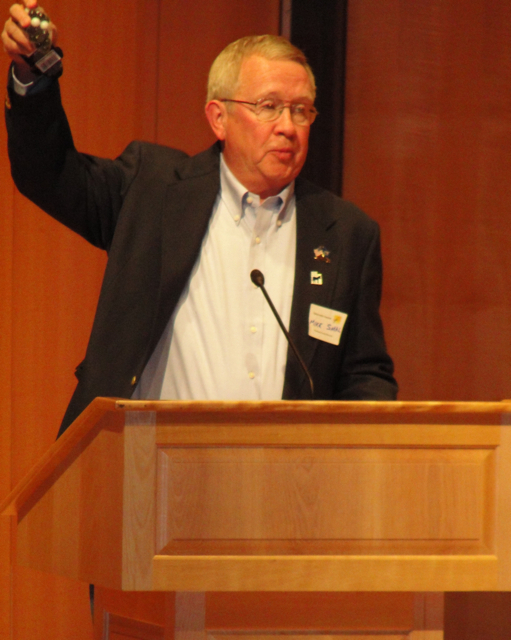 Johnson talked about the new LDS Democrats Caucus and informed everyone that interest statewide has been very high. She said that during the caucus meetings earlier this month there were thousands of people that signed up to get involved. Chris White spoke next about why he decided to run for Washington County Commissioner. White said, “If I ran against the status quo 10 times, the status quo would win nine times, but they’re not going to win this time.” He said that he believes the most critical thing is to educate the public. It is troubling, White said, that many members of the community don’t understand the issues surrounding them well enough to have their own opinion, and he believes that they have been adopting the opinion of someone else. He said he has decided to work very hard to better educate people so that they can make their own educated decision. Cimarron Chacon took the podium next and talked about why she was running for the Utah House in District 75. She said she loves Southern Utah. She raised her children here and loves the beautiful surroundings. She said she is concerned that the extremists that are currently running this state are going to ruin that for her grandchildren and she is running to make sure that Southern Utah stays a great place to live so that her grandchildren can also enjoy it. Brent Holloway spoke next. He said, “I don’t need to tell you of the lopsided nature of politics right now in Utah.” Holloway is running for the Utah House to represent the new District 62. He said he feels strongly that public education here in Utah is a “national embarrassment,” especially that “Utah is still last in money spent per student.” He said that Utah politics are run by ultra-conservative extremists. And he said he wants the state government to support our teachers instead of “blam[ing] them for our downfalls”. In Utah House District 71, Billy Kehl decided to run for office and filed the necessary paperwork on the day of the deadline. Kehl served five years in the marines and then joined the police academy. He is a strong, persuasive speaker who is very skilled at getting his point across. He said he feels he will be able to use those talents to point out the downfalls of some of the current policies in the state. Terry Moore is running for the Utah Senate seat 29. He said he was very impressed by the growth of the party here in Washington County. He said he has spoken at a previous Washington County convention at which there were only eight people in the audience. Billie Gay Larson is running as a National Democratic Committeewoman. She said she has decided to run because she has a lot of connections to Washington D.C. and because she feels that Utah has some really unique needs, and she said she thinks she can get the national party to help out. There are three Democrats running for the United States House of Representatives to represent District 2: Mike Small, Jay Seegmiller, and Dean Collinwood. 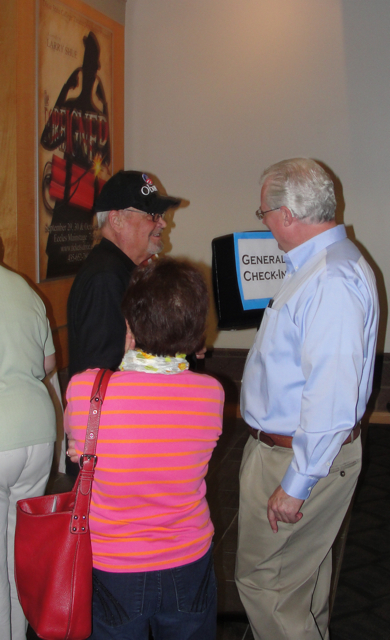 Jay Seegmiller said that his roots run deep in Southern Utah. Brigham Young sent his great-great-grandfather to “The Muddy” to help them produce more cotton. Former candidate for state representative and state senate in Idaho, Grant Hansen, was in attendance. Hansen’s booth offered his recently finished book, “Swimming Upstream.” He talked to people about his book and how “there’s a feeling out there that you can’t be a good Mormon and a democrat.” He said he spent ten years writing this book with the goal of addressing that idea.